Claire just opened her new studio and showroom in Marrickville last week! Claire creates custom-made dresses and skirts inspired by the 1950s. You can select from Claire's amazing hand-picked collection of fabrics, choose which style you love and Claire will create a piece which will be made just for you. Claire takes a lot of pride in her work, so there will not be a stitch out of place and your dress will always fit you like a glove. Pretty Claire, who always has the most amazing hairstyles! These were some of the fabrics she had out that day - I really like the one in the middle with the yellow roses! It is such a good idea to get a dress made if you have an fancy occasion coming up. I'm definitely getting myself a dress for an upcoming wedding! You could even have your bridesmaids dresses made here - get your bridesmaid to pick a fabric and they can all have the same style but with different fabrics! I think it is so refreshing to have a fifties-style dress. 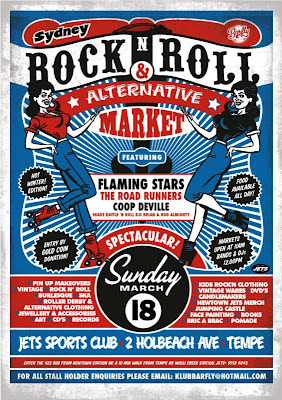 If you're thinking of having a dress made or if you just want to see what Fifties Frocks is all about, you can pop by Claire's studio at 18-26 Faversham Street in Marrickville on Fridays and Saturdays from 10am to 5pm. You can also contact her for an appointment out of these times. You could also visit her online store to browse some of the styles that she currently is selling. Just remember that her studio has a larger selection of fabrics! Like Fifties Frocks on Facebook to get updates on new styles and fabrics! 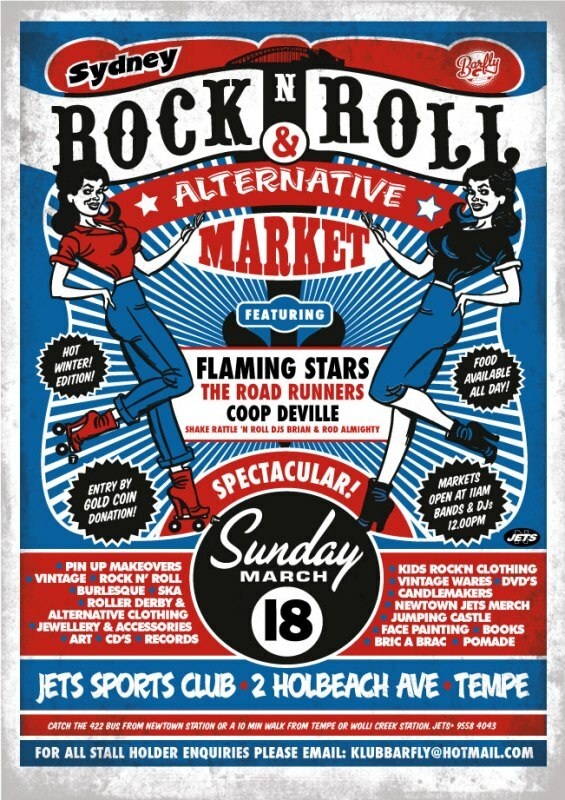 Finally, Claire will be having a stall at the Rock 'n Roll & Alternative Market on Sunday the 18th of March 2012 at the Jets Sports Club in Tempe (2 Holbreach Avenue, Tempe).